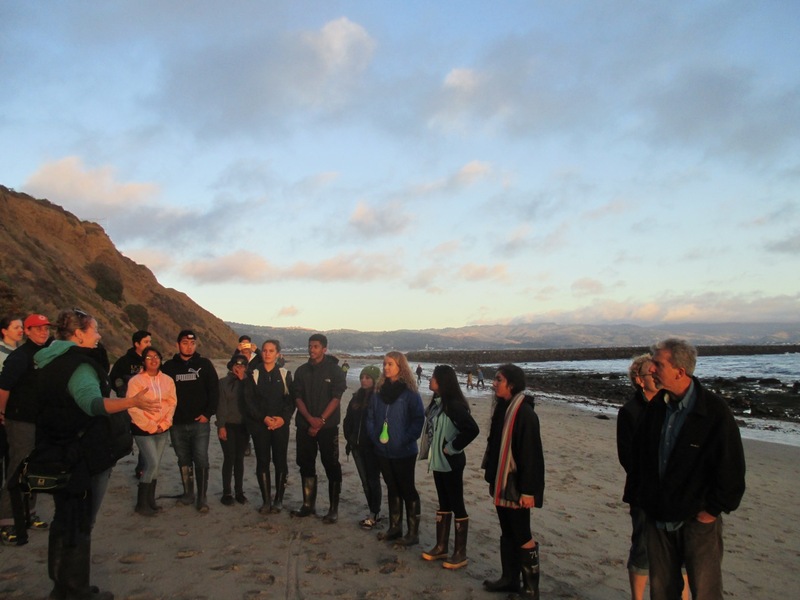 Spectacular Night Tidepooling at Pillar Point! 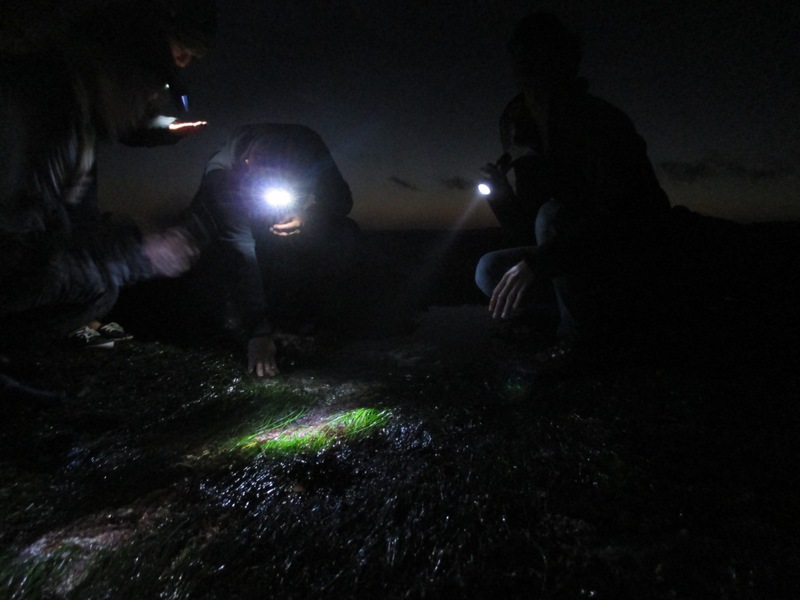 Last night, I participated in a spectacular night tidepooling activity at Pillar Point, along with a couple of dozen other lucky folks. Pillar Point is a reef just 40 minutes south of San Francisco, most well known as the home of the famous Maverick's Surf Contest. 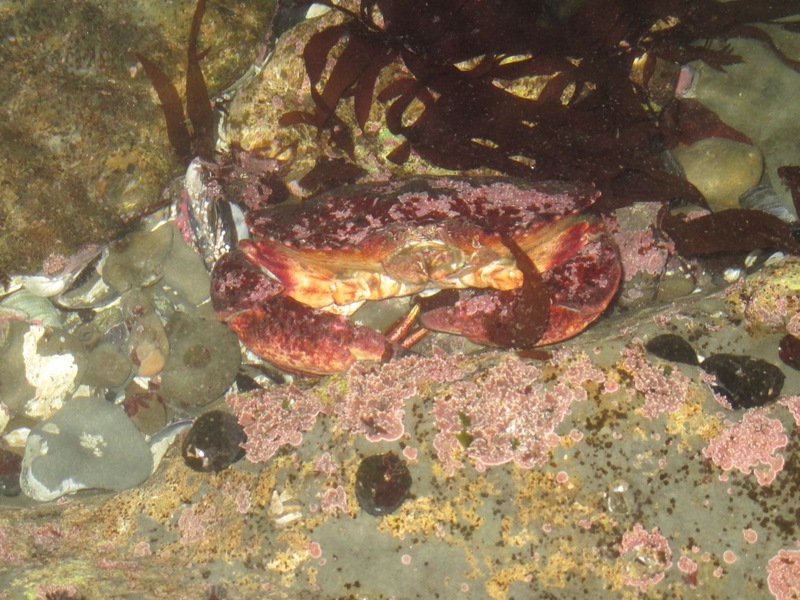 The California Academy of Sciences has been documenting the biodiversity of Pillar Point for many years now, which you can see by checking out the iNaturalist citizen science project showing the thousands identifications over the years. 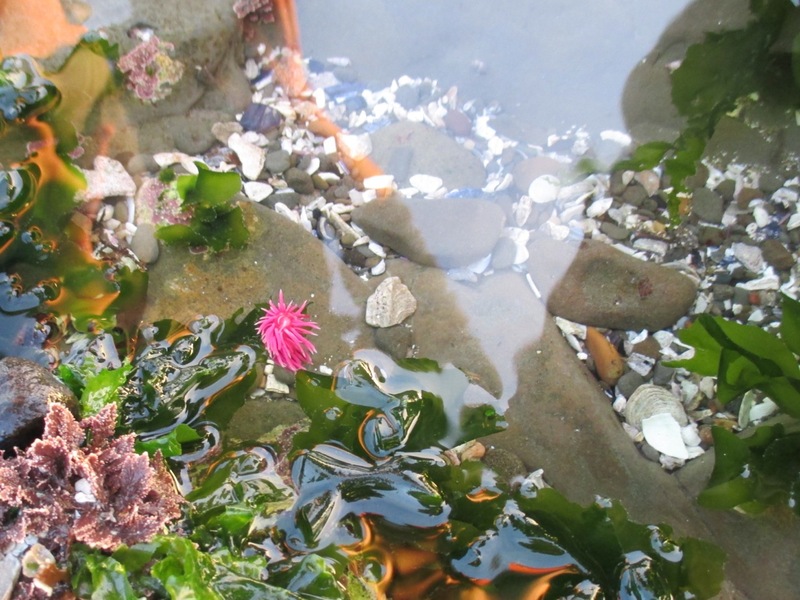 I haven't done enough tidepool exploring in my life. It's like a treasure hunt where every nook and cranny of a reef might hide some beautiful specimen. "There's too much! I don't know where to look," effused my colleague Lindzy, during our exploration. Alison Young and Rebecca Johnson, citizen science coordinators at the Cal Academy, organized this outing and briefed the intrepid collection of explorers from the Cal Academy. The setting could not have been more gorgeous, particularly right as the sun was setting. 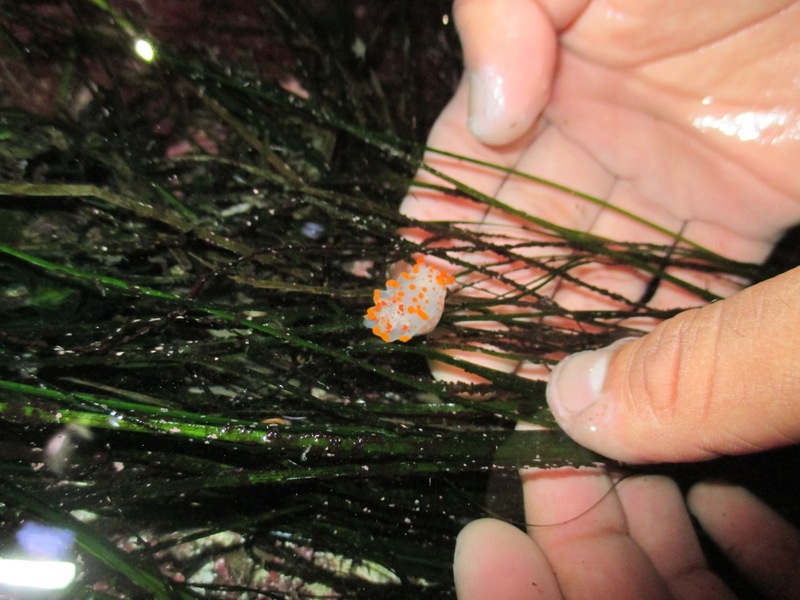 We found seastars, sea urchins, tunicates, many kinds of mollusks, crabs, fish, and most exciting nudibranch (sea slugs)! 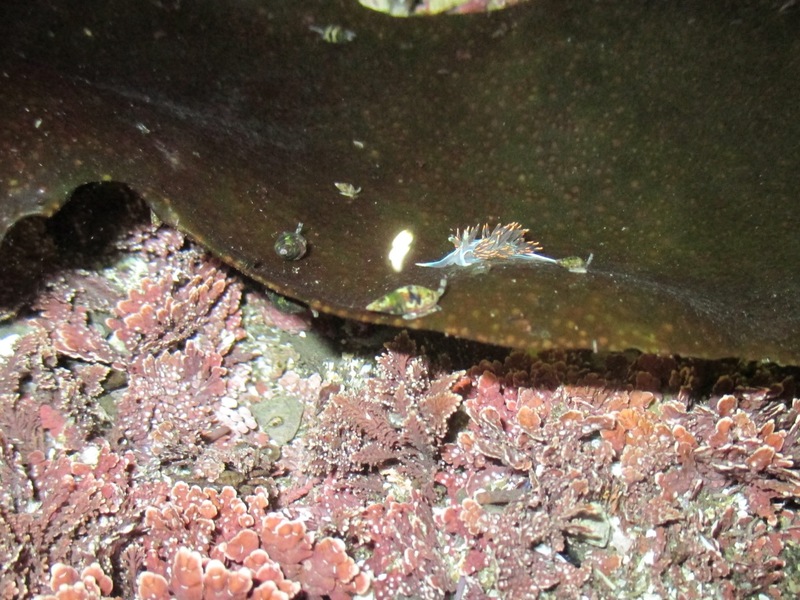 I could not believe the number and diversity of nudibranch that we found. 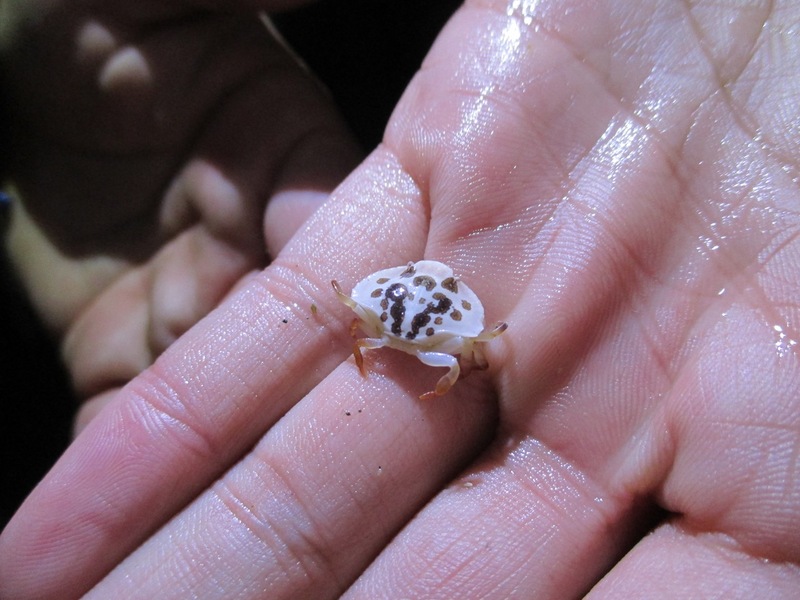 Lots of neat crabs, from the tiniest to large! 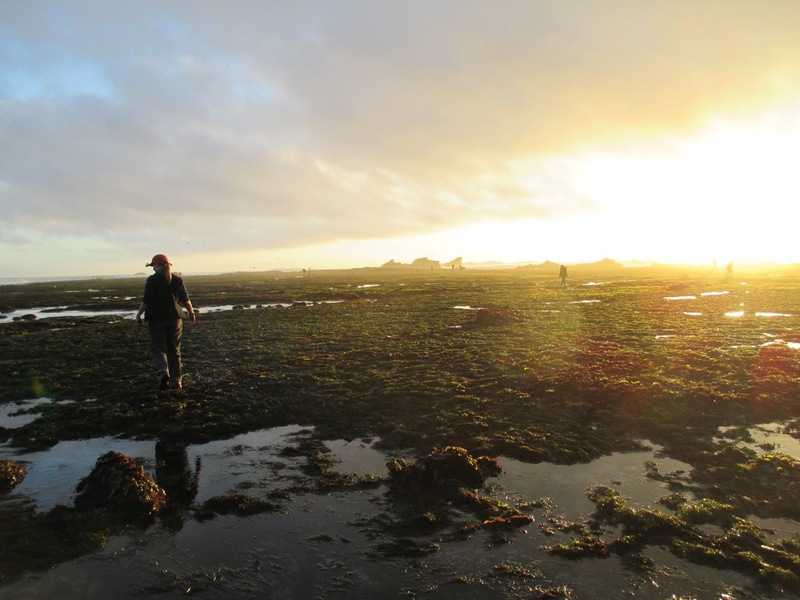 The Academy interns were some of the most enthusiastic explorers, fearlessly wading into deep tidepools, sifting among the seaweed and grass, and gingerly lifting possible finds. As the evening got darker, the flashlights and headlamps everyone brought were essential search tools. Definitely worth visiting if you are in the Bay Area. 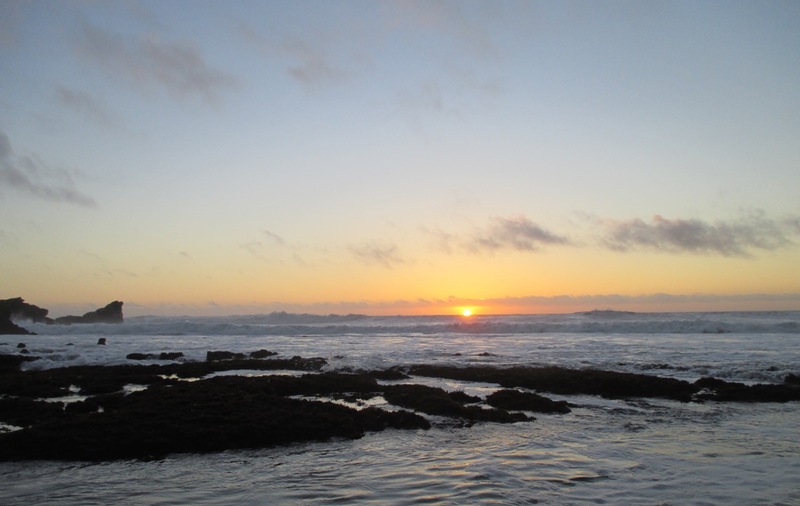 Don't forget to check the tide timetable to hit lowtide, wear lots of layers, prepare to get wet, and pack your flashlight or headlamp! And don't forget to load up the iNaturalist app on your smartphone so you contribute to our knowledge of this diverse and beautiful reef. Previous Article“Habitat Earth” Planetarium Show Now FREE for Educators!